New and developing technologies like artificial intelligence, robotics, and virtual and augmented reality (among others) are really cool. We love to see how robots can differentiate between objects, artificial intelligence can assist psychologists, and virtual reality can allow us to enter new worlds. But how can today’s youth reap the benefits of these amazing technologies in their everyday lives to prepare them for their future? Sometimes called the fourth industrial revolution or the information revolution, the state of technology is rapidly changing our world. Some predictions say that up to 800 million jobs could be made obsolete by automation, but with those disappearances will come millions of new jobs that don’t yet exist. And skills like programming are central to the job market of the future. To be prepared for this future, kids will need traditional skills like communication and critical thinking as well as tech-specific skills like design thinking, coding, and mechanical understanding. One challenge facing today’s youth is that schools are behind in teaching the kinds of skills required for a technological future. 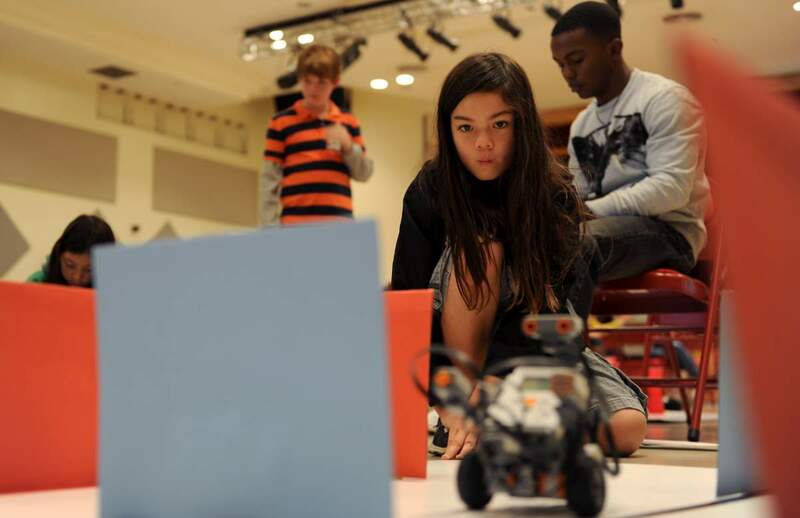 Other organizations are filling in the gaps with tech summer camps and after-school programs. But that’s just a start; there are plenty of ways kids can keep pace with and thrive in a tech-dominated future. Here are some of the ways new technologies can help them do just that. Educators are experimenting with new ways to use augmented and virtual reality in the classroom, where it can have value beyond fun and games. If you’ve ever been concerned about the safety of a chemistry experiment, augmented and virtual reality technologies will alleviate those fears. Instead of undertaking dangerous experiments in person, students could use AR and VR to perform experiments in a completely safe environment. These technologies can also be used to explore the world and learn life sciences-for instance, taking a deep dive into the Pacific Ocean to learn about aquatic creatures. Building software, apps, or augmented reality devices requires both the technical know-how and the ability to work with multiple perspectives and skill sets to create a product that is not only functional but also enjoyable and useful. The most successful professionals learn from colleagues and bring their own expertise to the table. Using tech can help children learn these skills early on by putting them into the roles of a trainer or coach with other students. As schools integrate more technology into their classrooms, kids can (and have often asked to) lead the way in learning how to make full use of such technology and teaching each other. For instance, at one school in California, a biannual conference called Tech Boost started in 2016. During the event, students present to each other on coding, video creation, and web/app design. When kids play with things like digital photography or music and film production, they’re learning skills that may directly translate into future careers. For some of this, all they need is software. There are also plenty of robotics kits on the market for kids to learn skills that might set them up for careers in healthcare or engineering. Far from limiting kids’ inherent imaginations, new tech expands the avenues available for them to imagine and create. Getting kids involved with tech as a hobby is a great way to start preparing them to think about what they want to do when they grow up and what some of the possibilities are. Let’s be real: Trying to keep kids away from screens is like trying to hold back a flash flood with a few sandbags. It’s not going to happen. Instead, direct them to tech games that encourage creativity and interaction. Games like Minecraft let kids build their own environments the same way they would with blocks; the tools are just different (and offer greater possibilities). And VR games are taking this to the next level by offering spaces in which kids can build, design, and experiment (check out Tilt Brush or Fantastic Contraption, for example). In traditional classrooms, some kids are inevitably left behind, or others are left bored because they learn faster than their peers. New technology in the classroom is helping kids take control of their own learning by offering self-paced options tailored to the individual’s needs. Educational programs that integrate AI do this well by identifying what a kid needs help with and then offering specific lessons (and encouragement) in those areas. Tools from companies like Thinkster Math and Carnegie Learning incorporate AI by suggesting learning sequences and offering text-to-speech features. When kids learn to take ownership of the pace and direction of their learning, they can carry this ability forward into professional settings when they need to identify what new skills they need to learn, and how. No matter the state of technology, interpersonal skills like empathy and compassion will remain important for success in adulthood. VR tools can expose kids to a much wider array of life experiences and parts of the world that they have access to offline. Even learning how to program robots can help kids develop emotional skills as they learn how to work together and think about what robots can do for others (and how to make them work). Another interesting possibility for VR is to help kids with learning or developmental disorders improve social competencies in a safe environment. The US Department of Education is funding such a project, called VOISS. Design thinking, defined by the Interaction Design Foundation as “a non-linear, iterative process which seeks to understand users, challenge assumptions, redefine problems, and create innovative solutions to prototype and test” is not just for college students and professionals. The earlier in life kids learn how to engage in this process, the better grasp they’ll have on working with new and emerging technologies. This kind of thinking requires blending creativity, critical reflection, and empathy. 3D printing, which is still in its early stages, gives kids a chance to practice all these skills and prepares them to work with different technologies, whatever those may become as they grow up. Workshops like the City X Project are giving kids these opportunities. Helping youth engage with new technologies in ways that will prepare them for the future requires a combination of putting pressure on schools to integrate available technologies, bringing home educational options, and making other opportunities available to them. The more they learn how to use current tech, the more prepared they’ll be for the tech options yet to come.